Well established car-sharing company Zipcar, recently acquired by Avis Budget, is launching a new one-way service allowing users to drive a car on a one-way trip and leave it at the destination, rather than having to take it back to the spot where it was first picked up. Zipcar’s new one-way service is taking a leaf out of Car2Go’s book. The car-sharing competitor offers one-way trips in Smart cars. 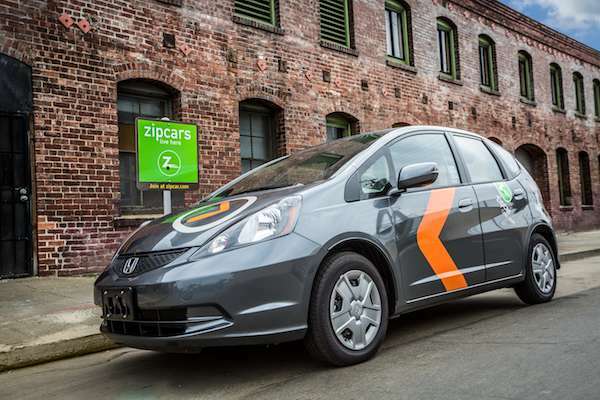 Zipcar is offering one-way trips in larger vehicles: fuel efficient, 5-person, Honda Fit cars (pictured above). In addition, drivers will not have to specify the destination when they make the booking. All that will be required will be to leave the car in any of Zipcar’s numerous, guaranteed sparking spots. The new service will start in Boston and branch out to other cities after that. In terms of efficiency, as well as convenience, this new service has got to be a good thing. The growing popularity of car-sharing means fewer cars on the roads overall; adding one-way trips to the mix means there should be fewer wasted trips.